This weekend time stood still. For an hour anyway. We turned our clocks back yesterday to end official UK summer time. I think I’m over the jet lag now, but all of yesterday I kept thinking, “This time yesterday, it was an hour later.” Confusing times indeed, for a Saffa in London. The sun now sets earlier on these beautiful autumn days, and it feels like winter is truly calling. 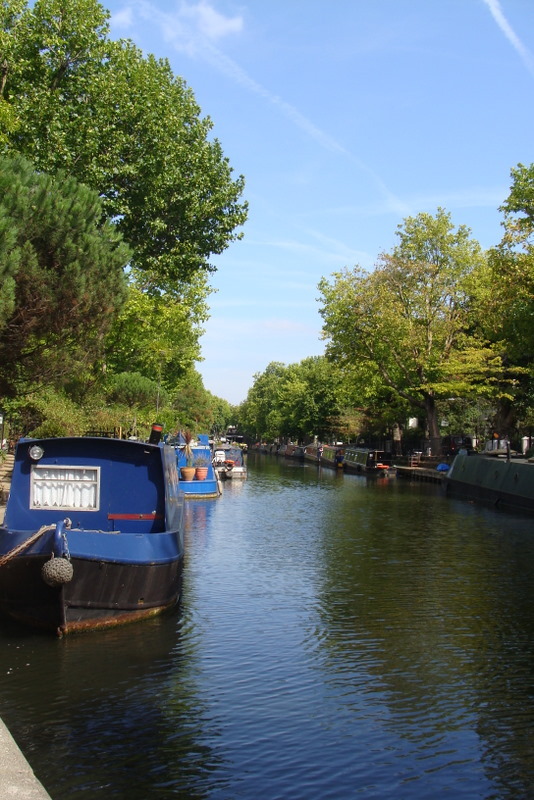 We took the overground train to Shadwell and a bus to Bethnal Green and then we walked along a section of Regent’s Canal that lines Victoria Park’s western border. 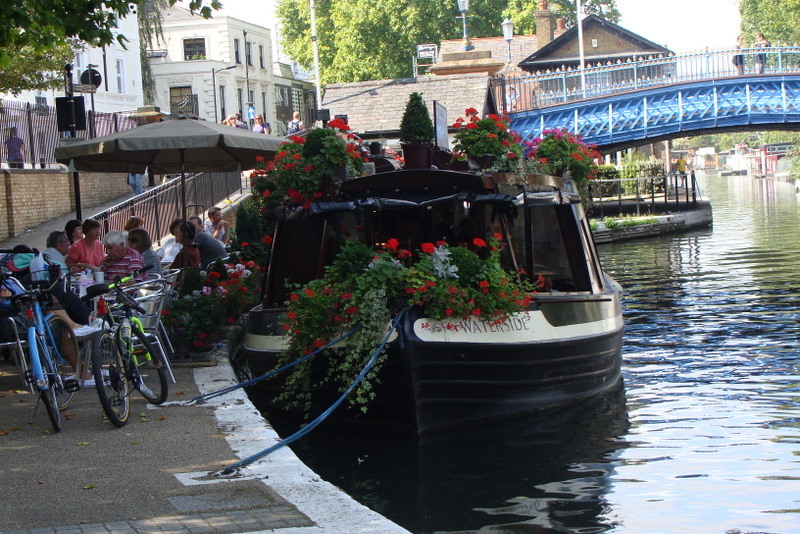 Regent’s Canal was built in 1812 to link the Grand Junction Canal’s Paddington arm with the Thames at Limehouse. 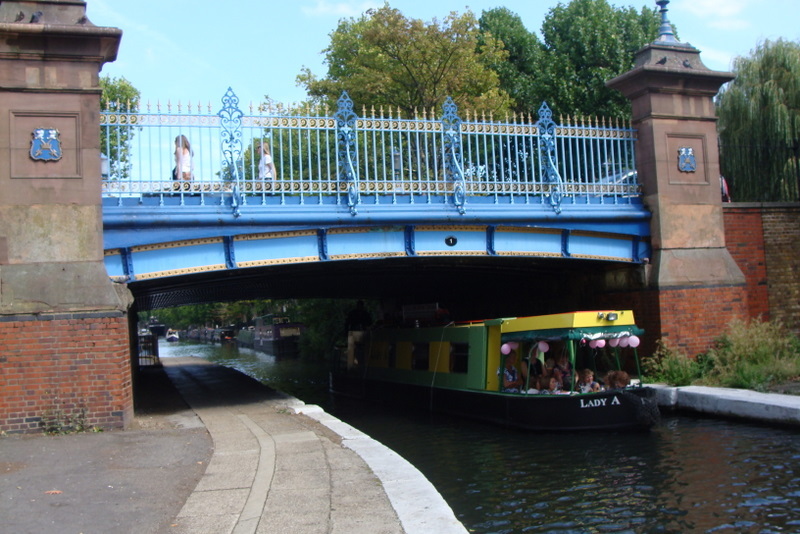 It is eight miles long and it passes through Camden Town, King’s Cross and Mile End. 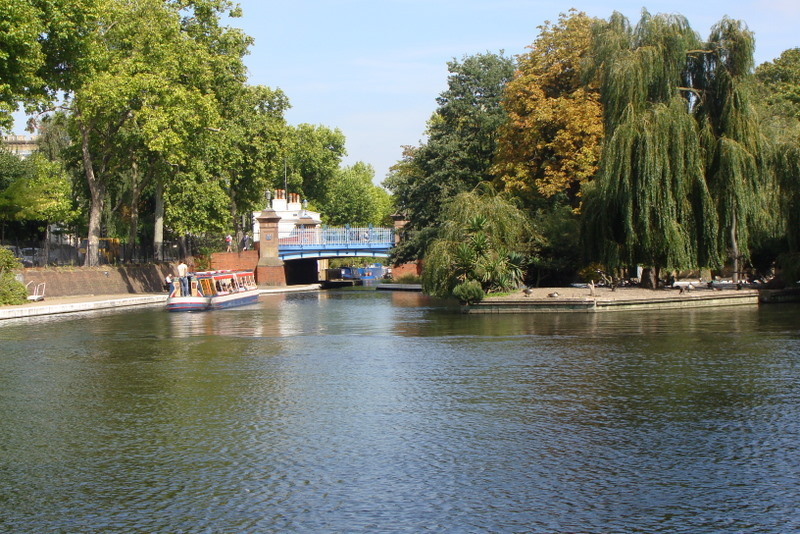 It features three tunnels through which it runs underground, and is the only canal in London to pass underground. We thoroughly enjoyed the section of the Canal we walked along before going into the Park, and we will certainly make a day of walking the length of it. These boats line the edge of the canal. 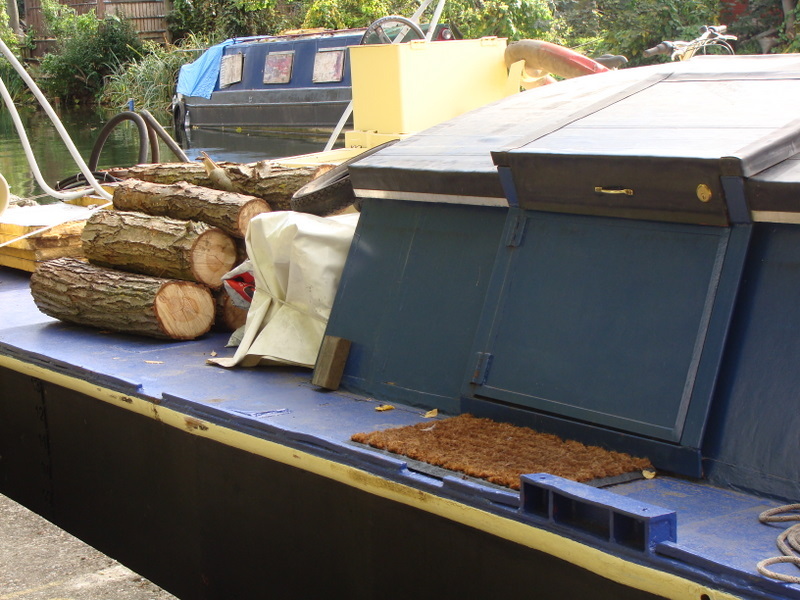 I loved this emergency kit on top of a boat on Regent's Canal. A bridge over the River. We did, however, walk the length and breadth of Vicky Park, stopping for lunch at a cafe next to a beautiful little lake. The sun came and went, we got rained on but mostly we soaked in the rich autumn colours and the sights and sounds of a chilly autumn day in London. The weekend started with a crazy, energetic session of Bollywood aerobics! Our latin aerobics instructor has left London, and that fun class has been replaced by another one led by a fabulous eastern European instructor. She led us through an hour of high-intensity cardio with Bollywood expression … head flicks to give you whiplash, eastern hands that could chop bricks and the Bollywood neck movement that is so hard to master. Our instructor gave us Bollywood homework – to brush our teeth by holding the toothbrush steady and not moving our hands! That way we can get used to the sideways and forwards/backwards movements with our necks! How funny is that? I will practise – you never know when Bollywood will call.